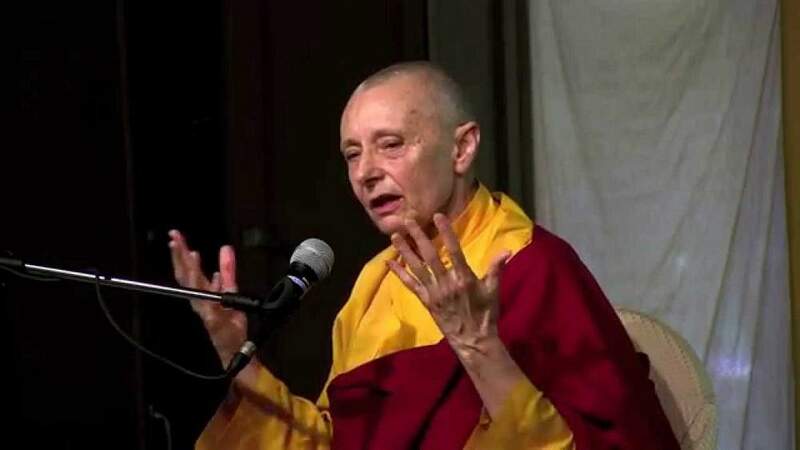 Jetsunma Tenzin Palmo (born 1943) was born Diane Perry Woolmers Park, Hertfordshire, during the Blitz to an English house cleaner and a fishmonger. Although spiritualist meetings were held in her childhood home, at age eighteen, she decided she was a Buddhist in 1961 when she read a library book on the subject. She then traveled by sea to India in search of a teacher. On her twenty-first birthday, she met her religious teacher, the eighth Khamtrul Rinpoche. Three weeks later, she became the second Western woman (after Freda Bedi, another English woman who in 1966 became the first Western woman to take ordination in Tibetan Buddhism) to be ordained as a Tibetan Buddhist nun. 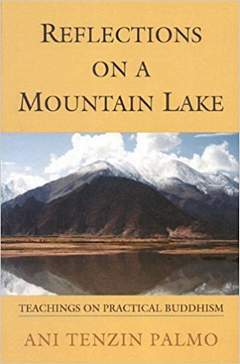 At thirty-three, with her lama’s sanction, Tenzin Palmo took up residence in a six-by-six-foot cave, 13,200 feet up in the Himalayan valley of Lahaul, and lived there for twelve years. Since then, she has given her uniquely practical teachings around the world in an effort to raise awareness and funds for the Dongyu Gatsal Ling Nunnery, in Himachal Pradesh, India, which she founded in 2000. Tenzin Palmo is recognized as one of the very few Western yoginis trained in the East, having spent twelve years living in a remote cave in the Himalayas, three of those years in strict meditation retreat. In fact I today at this age i know real real meaning and difference bet LOVE AND ATTACHMENT.